Ahead of another new season, Wotton-under-Edge Hockey Club continues to go from strength to strength and its achievements should be a source of pride for the town as a whole. With the hugely successful 1st XI now on the verge of National League status (equivalent to Football League standard), and with all teams at WUE HC enjoying a purple patch that has led to promotion or improved interest, the club continues to thrive. 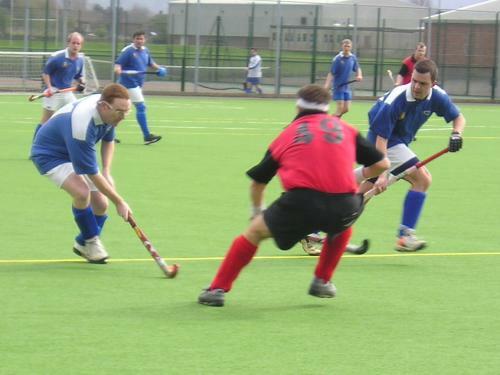 Last season was one of the most significant campaigns in the 13-year history of the club, with the first team securing promotion to the Gerard Hockey League Premier One - the Wales & West's elite division. The achievement is an incredible feat for a town of Wotton's size, and the team will now rub shoulders with the cream of South Wales & West hockey in 2004/05. The current squad is full of experience, from former European Cup winner and goalkeeper James French to former Firebrands star and current captain, Tom Ward. A team packed with top-flight experience and representative honours surrounds them. Meanwhile, the club's 2nd XI complimented this success by winning promotion from North East District One last season with Stuart Emms' team doing a great job of lifting themselves after a hard season to win the play-offs in April. The seconds will look to build on this success under new captain Pete Grey. Under the stewardship of Chairman Alan Hooper, the 3rd XI continued to develop the club's young talent at senior level with a highly creditable third place in their division. The club continues to enjoy a rich tradition at all levels of hockey, and its legacy looks highly promising. The club has been coaching youngsters for the past ten years at KLB indoor Sports Centre and now also holds occasional junior coaching sessions on Astroturf. 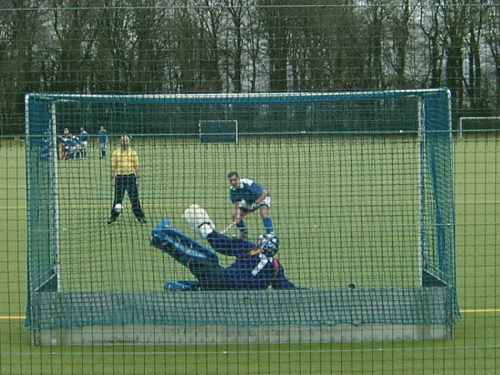 In March 2004, junior coaches Willie Cruickshank & Dave Newns, aided by Ian Dixon, entered a team into the Cannon Clarke Junior Hockey League - the team ran out as clear winners of Division 3. This year the club is looking for a new intake of junior players from Year 4, and anyone interested should contact Willie Cruickshank on 01453-844767. The one obstacle to further success is the lack of an artificial turf pitch in the town which, despite the best efforts of Wotton Community Sports Foundation, means that senior home games are currently played at Stratford Park, Stroud. Lack of available funding from the sports governing body, a general decrease in the levels of Sport England grants together with district council backing for a proposed pitch in Dursley have all compounded the problem. If this one problem were to be rectified, there is every chance that the future of hockey in Wotton will be every bit as promising as the recent past. But who is to say that it will not be anyway, judging by the club's proven ability to succeed above the odds?